It’s been two decades since the beloved and talented Selena Quintanilla passed away. Having to live without a wonderful role model has not been easy for Selena fans. Her legacy, however, is more alive than ever and will be honored at a festival in her hometown. Since 1995, the year that we lost the Mexican-American superstar, fans and family members have dedicated their lives to keeping her trajectory in the spotlight. Everything from dressing up as her for Halloween, singing her songs on TV talent shows and still playing her chart-topping tunes on the radio, Quintanilla is far from forgotten. 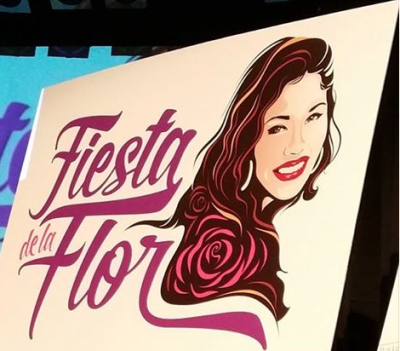 Now, almost 20-years since her tragic death on March 31st, the Quintanilla family and Texas’ city Corpus Christi are commemorating their lovely star with a two-day music and film festival called “Fiesta de la Flor” (Festival of the Flower). The festival’s name pays homage to Selena’s hit single “Como la Flor,” and is expected to take place near her birthday the weekend of April 17th and 18th. The Latina starlet was born on April 16, 1971. Though the tribute festival is three months away, local news in Texas have reported that the Corpus Christi City Council gave approval for the Convention and Visitors Bureau to use “Bayfront Park” for a festival to honor Selena Quintanilla-Perez. “We are working with them [the Quintanilla family] to make sure the park and adjacent areas are ready to go for a great festival in April that will celebrate music and film and will be great,” said Interim Parks & Recreation Director Stacie Talbert to Southern Texas’ Kiii TV. The city expects about 50,000 visitors to bring in about $1 million to the local economy. The Quintanilla family confirmed this announcement Wednesday. Admission: $5 a day for adults; $2 for children ages 5-12 and free for children younger than 2. An outdoor screening of “Selena” also will be shown as part of Alamo Drafthouse’s annual Rolling Roadshow of movie screenings, reports Caller Times. The GRAMMY-winning artists’ sky-rocketing trajectory –both in the Spanish-language and English-language markets– was cut short in 1995 after she was killed by her fan club’s president.